The Annapolis Maryland personal injury lawyers at The Turnbull Brockmeyer Law Group give practical and intelligent legal advice to people who have sustained injuries in a wide range of accidents throughout Annapolis, Baltimore, Bel Air, Essex, Towson, Ocean City, Rockville & Salisbury, Maryland. From soft-tissue to catastrophic injuries, our Annapolis Maryland personal injury lawyers help clients negotiate a settlement that provides fair compensation for their injuries, lost wages, property damage and pain and suffering. Do not hesitate to contact our Annapolis Maryland personal injury lawyers for a free case review. We charge no fees of any kind unless we recover for you and your family. Proudly serving accident, injury and workers’ comp victims throughout all of MD including Aberdeen, Bel Air, Columbia, Elkton, Essex, Ocean City, College Park, Glen Burnie, Rockville, Upper Marlboro, Frederick, Salisbury, Silver Spring and Wheaton, MD. Accidents resulting in severe injuries or an untimely death require special attention to the legal aspects of the aftermath. Our Annapolis, MD personal injury lawyers provide compassionate and vigorous representation to people who need legal help for a family member with serious injuries or who have lost a loved one in a fatal accident. Motor vehicle accidents can be devastating and require extensive medical care. Our Annapolis, Maryland personal injury lawyers help people understand their rights while we aggressively pursue the compensation they deserve for the injuries they have suffered in a car accident, truck accident, motorcycle accident, or other vehicle accident. Our Annapolis, MD auto accident attorneys have the compassion and legal knowledge necessary to pursue compensation when a car accident is caused by a drunken driver. We handle all types of car accident injuries — from soft-tissue injuries to brain injury or wrongful death. To speak with our Annapolis, MD Personal Injury Lawyers at the Law Offices of John Grason Turnbull III, P.C. dial 410-321-8860 or click here to email in order to schedule your free initial consultation. During this time, you can discuss your individual case and concerns personally with John Grason Turnbull. 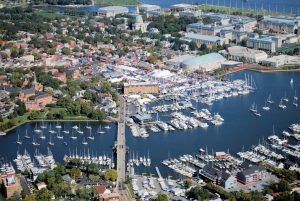 Our Annapolis, Maryland personal injury lawyers serve the following areas of Maryland: Aberdeen, Annapolis, Baltimore, Bel Air, Bethesda, Bladensburg, Bowie, College Park, Columbia, Edgewood, Elkton, Ellicott City, Essex, Glen Burnie, Hagerstown, Hyattsville, Lanham, Landover, Oakland, Ocean City, Olney, Perryville, Salisbury, Silver Spring, Takoma Park, Gaithersburg, Germantown, Greenbelt, Towson,Upper Marlboro, Washington & Wheaton, Maryland.